The manner in which the Forest Advisory Committee (FAC) of the Ministry of Environment, Forests and Climate Change (MoEF&CC) has agreed to divert 4,578 hectares (ha) of prime forestland to construct the 3,000 MW Dibang multipurpose project (DMP) has yet again convinced me of the need to replace the present system of granting forest clearances. FAC, in its last meeting held in September, 2014, (minutes released recently) gave nod to DMP after having twice rejected this controversial project previously—in July, 2013 and in April, 2014. DMP will be the biggest hydropower project in India; its capacity would be more than double that of Gujarat’s controversial Sardar Sarovar Dam. The dam will be constructed in the Lower Dibang Valley district of Arunachal Pradesh (AP) and will affect several districts in AP and Assam. 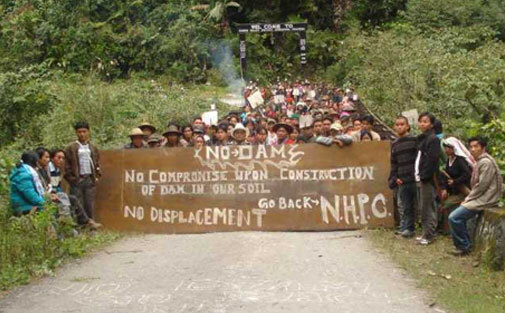 The National Hydroelectric Power Corporation (NHPC) is constructing this project. Besides rich forest cover, the project is very near to the Mehao Wildlife Sanctuary, considered to be an important habitat of schedule I species such as elephant, leopard, tiger and gibbon. The project will also have an impact on downstream ecology, including the Dibru-Saikhowa National Park in Assam. The first rejection of the proposal by FAC was in July, 2013 when the committee felt that the project needs diversion of huge land that has a “very good forest cover” and would result in loss of more than 350,000 trees. The committee also felt that the adverse impact of the project on the general eco-system of the area would be such that its recovery “may be very difficult through any type of mitigation measure”. FAC had also pointed out the absence of a cumulative impact study in earlier occasions, given the fact that several other hydropower projects have been proposed in the same river valley. FACs rejection was not taken kindly by people in the higher echelons of power. Officials of various ministries started working feverishly to get the decision reversed. Even the Cabinet Committee on Investment (CCI) got involved. In December, 2013, CCI asked the environment ministry to accord forest clearance to the project “expeditiously”. After some backroom negotiations, the project proponent was asked to modify the project so as to reduce the requirement of forestland. In February, 2014, the Arunachal Pradesh government resubmitted the proposal by reducing the requirement of forestland and the dam height. The forestland requirement was reduced from 5,057 ha to 4,578 ha, and the dam height by 10 m.
However, the proposal was again turned down by FAC in its meeting of April, 2014. The committee stated that “such a marginal reduction in requirement of the forestland for the project may not be able to reduce the adverse impact of project on such a biodiversity-rich mature forest ecosystem to the extent which could make the project environmentally as well as socio-economically viable”. The compliance of settlement of rights of the forest-dependent tribal community of the area, a requisite for forest clearance under the Forest Rights Act, 2006, had also not been submitted by the state government. It is to be noted that these documents had not been submitted even when the project was approved by FAC in September, 2014. Again, the Ministry of Power (MoP) lobbied with MoEF&CC to get the decision reversed. In a joint meeting of MoP and MoEF&CC held on June 19, it was decided that a “sensitivity analysis report” will be done which will estimate the impact of lowering of the dam height by up to 40 m on forest diversion, electricity generation and tariff. The project proponent and the MoP were not too keen to give the “sensitive analysis report”. After some pushing and shoving, the so-called “sensitivity analysis report”, initially done in less than a week, was submitted to FAC for re-evaluating the project. In its meeting held in April2014, FAC did not consider the proposal because it felt that the user agency had not addressed its “concerns” and had not given any justification for not reducing the dam height by more than 10 m. The prime concern that FAC was alluding to was reduction of forestland diversion by reducing the height of the dam (see pdf). It is important to dissect this concern, because I believe this is the root of the problem. FAC’s decisions, in general, are based on the number and type of trees that will be lost while diverting forestland. In fact, the report on the basis of which forestland is diverted, reads like a botanical report. There is no assessment of the impact of the diversion on the ecology, water resources or the people living in the area. For FAC, tree cover equals ecology. Since April, 2007, it has allowed diversion of about 270,000 ha of forestland, combining in-principle and final clearances, based on this skewed assessment. This is more than the core area of three prominent tiger reserves in India—Corbett, Kanha and Ranthambore. In the case of DMP, too, FAC did not try to understand the ecological impacts. Its concern was to reduce diversion by few hundred hectares, because in its collective wisdom a little less diversion would mean less impact on the ecology. This is the reason why FAC did not ask for a report on the impact of DMP on terrestrial and riverine ecology. What it asked was a “sensitive analysis report”. The minutes of FAC meeting held on September 22-23 this year show the mindless manner in which DMP was cleared on the basis of the “sensitive analysis report”. First of all, the report reads like an exercise in arithmetic. The design of the project was kept the same but the height was reduced to theoretically estimate parameters like reduction in installed capacity and power generation, increase/decrease in tariff and in forestland requirement. The tariff varies from Rs 5.64 per unit in no-change in dam height to Rs 6.24 per unit if the dam height is reduced by 40 m. If the dam height is reduced by 10 m, the tariff increases by 2 paise per unit to Rs 5.66. The annual energy generation reduces by 5 per cent if the dam height is reduced by 10m and by 25 per cent if the height is reduced by 40 m.
The percentage reduction in forestland requirement is 9 per cent if the dam height is lowered by 10 m and 26 per cent if the height is lowered by 40 m.
During FAC deliberations, one member challenged the very basis of constructing a mega hydro project in such a biodiversity-rich area because any reduction in dam height would not address the ecological concerns. However, the other members decided to come out with “objective” criteria to decide the fate of the project. The objective criteria chosen were per MW requirement of forestland and per unit power tariff. Based on these criteria, they decided that a reduction in height of the dam by 10 m is most appropriate as the tariff increase is minimum (by 2 paise) and the amount of forest required per MW of capacity is lowest (1.60 ha/MW). But a recalculation of FAC’s own “objective” criteria shows that the decision they arrived at was erroneous to say the least (see table below). First, installed capacity is not a basis to judge the performance of an energy project. The objective criteria to judge this is energy generation. From this perspective, the highest energy generation per hectare of forestland diversion takes place when the height of the dam is reduced by 40 m and not by 10 m.
The other point is tariff. The tariff increases by about 10 per cent when the dam height is lowered by 40 m. A 10 per cent hike in tariff would be acceptable to most in normal circumstances. But the project proponent has argued that this increase will make the project unviable. I completely agree with the project proponent. In fact, I would argue that a Rs 5.64 per unit tariff is itself unviable. If we add transmission and distribution (T&D) losses and T&D charges, then the price at which DMP electricity will be sold in Kolkata (the nearest metro) would be at least Rs 8.0 per unit. At this rate, Kolkata would do well to install a state-of-the-art solar plant and not rely on electricity generated in Arunachal Pradesh by DMP. The unviability of the project can be gauged by the fact that the electricity produced by hydropower projects in Bhutan is sold at about Rs 2 per unit to India. And this is the point I want to make. DMP could have been rejected on pure economic basis. And if we add the ecological concerns—diverting huge forestland in a highly biodiverse area, impact on tribal community, and impact on a wildlife sanctuary and a national park – then no cost-benefit analysis can justify this project. All this could have been assessed by FAC if its processes and institutional arrangements were working. But they are not. If we do not want a repeat of DMP, we should scrap FAC and replace it with a system that will take decisions on the basis of proper impact assessment and cost-benefit analysis. Most importantly, we need to put in place a system that will be participatory, transparent and accountable.